While being questioned for allegedly bribing South Korea’s president, Samsung Group’s Jay Y Lee is locked up at a prison notorious for housing convicted billionaires, a serial killer and the hangman’s noose. That doesn’t mean he’s given up being the boss. Lee doesn’t have a phone or computer and technically is confined to his cell almost all day, yet he’s allowed to meet with lawyers in a separate room for as long as he’d like. He could use the attorneys to communicate with lieutenants at the conglomerate and stay involved in the decision-making, said Kwon Young-june, a professor who researches corporate governance at Seoul’s Kyung Hee University. Precedent is on Lee’s side. Hanwha Group chairman Kim Seung-youn and SK Group chairman Chey Tae-won continued to influence their businesses even after being convicted of crimes and imprisoned. Not only did they keep their titles while behind bars, they still have them. The case against Lee, who hasn’t been formally indicted, hasn’t advanced as far as those, with both Samsung and Lee denying he did anything wrong. Yet the conditions of his confinement show how serious the consequences of the investigation have been so far. The billionaire businessman wears a standard blue prison uniform, is only allowed outside to exercise for an hour a day and can’t access the Internet, according to a person familiar with his detention. His cell does have a TV set — though it’s made by rival LG Electronics and only shows prison-approved programmes, the person said, asking not to be identified because the details aren’t public. Lee, 48, is being detained for questioning in a corruption probe that prompted the impeachment of President Park Geun-hye. The vice chairman of Samsung Electronics is accused of bribery, perjury and other offences related to Park and her confidante. The alleged motive is government support for a corporate merger making it easier for him to control the consumer electronics giant. A special prosecutor appointed to investigate the Park scandal has until the end of this month to issue an indictment. If Lee ultimately is convicted on all charges, he faces a sentence of more than 10 years. Samsung said Lee isn’t running the chaebol from the detention centre. Lee is at the Seoul Detention Centre, located outside the industrial city of Anyang, south of Seoul. His fellow inmates include Park’s former chief of staff, Kim Ki-choon, and Yoo Young-chul, a self-confessed cannibal on death row for killing about 20 people. The compound houses an execution chamber. The nation’s last hanging was in 1997. And that may impede Lee’s ability to keep his hands on the tiller of the sprawling group, said Park Nam-gyoo, who teaches business management at Seoul National University. Lee could still manage “low-intensity, maintenance issues”, but he may not be able to spearhead the type of transformation Samsung needs to ward off competitors, he said. Korea’s justice ministry, which oversees the prison system, declined to comment on Lee’s jailhouse life. Its website says inmates get three meals a day, with a combined nutritional value of 2 500 calories. The facilities serve special foods on national holidays. Lee will eat the same Korean food as fellow inmates, the person familiar with the matter said. Every meal includes soup, three side dishes and a bowl of rice. The menu changes daily, with choices including pork cutlets, seaweed soup and the Korean staple kimchi. Lee must clean his own tray after eating. Upon arrival, each inmate receives the same items: soap, toilet paper, toothbrush, toothpaste, towel, quilt and pillow, according to the ministry’s website. Lee’s cell has a mattress on the floor, a small writing table, toilet and washstand. Former inmate Park said he could only take one shower a week, so he used a daily ration of three bottles of warm water to wash himself. His cell had heating wires embedded in the floor to warm the room during certain times — though the cell would be cold by the time he woke up. That would be in stark contrast to Lee’s normal life as the de facto head of the nation’s biggest conglomerate. He has a 1 200 sq m house in Seoul’s Hannam district, where he’s surrounded by fellow tycoons, that includes three floors underground. The neighborhood overlooks the Han River and includes a Samsung-sponsored museum. A nearby Grand Hyatt hotel is popular with foreign dignitaries. 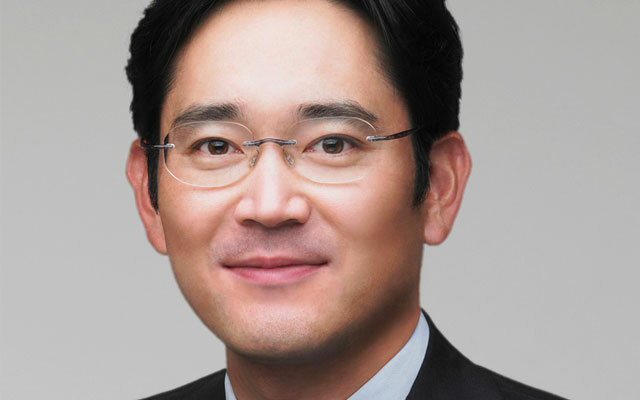 Lee, who also is a board member of Samsung Electronics, hasn’t relinquished any of his corporate titles. That’s not unusual in South Korea. Hyundai Motor Group’s Chung Mong-koo, who was convicted of embezzlement, is still chairman. Hanwha’s Kim was sentenced to four years in prison and fined for embezzlement. SK Group’s Chey was sentenced to four years in prison for embezzling corporate funds, and in 2015 he oversaw a corporate merger from behind bars. Lee has been groomed his entire life to take over Samsung, which was founded by his grandfather and transformed into a national powerhouse by his father, Lee Kun-hee. The chaebol includes electronics, shipbuilding and insurance units and has combined revenues equivalent to about one-fifth of South Korea’s GDP.